Please note that although this article is, in some ways, a virtual tour of Vikingsholm, it’s not meant to replace visiting and/or taking an actual tour of the place. My intention is to provide contextual information to enhance your experience when visiting Vikingsholm, as well as to offer a starting point from which to launch your own inquiry into Vikingsholm and Lora Josephine Knight. Also, if you’re simply looking for directions to visit Vikingsholm click on Vikingsholm Castle. Lora Josephine Small was born in 1864 in Illinois. She spent much of her early life and time during her first marriage living in Illinois and Wisconsin, and traveling across the country and overseas. In 1916, she and her first husband, James Moore (who, along with his brother, held a controlling interest in large US companies), moved to Montecito, CA. James Moore unfortunately died soon after the move and, sometime at the beginning of the 1920s, Lora Small Moore married a St. Louis-based stockbroker named Harry French Knight. They divorced prior to 1929, but Lora kept the “Knight” name. Lora Josephine Knight was a philanthropist who valued community and education. She made financial contributions stretching from Santa Barbara, CA, to Reno, NV, and went toward youth groups, community centers, and college scholarships. And, as a friend of Charles Lindbergh, she provided financial support for his flight across the Atlantic Ocean. 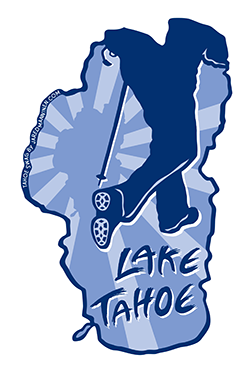 For the 16 years prior to purchasing Emerald Bay, Lora Knight had owned and used as her summer home the area that is now called Dollar Point (near Tahoe City). Although she was not of Scandinavian decent, Lora Knight held in high esteem the art and architecture of the Nordic countries. So, it was the fjord-like appearance of Emerald Bay and the surrounding mountains that truly inspired her to envision Vikingsholm. In 1928, she purchased the 239 acre lot of Emerald Bay (which included Fannette Island) at an appraised value of $250,000. Soon after her acquisition of Emerald Bay in 1928, excavation of the site began. However, early winter storms caused construction to be placed on hold. Once the snow melted enough to resume work the following spring, a small army of 200 skilled laborers (all of whom lived on site) set about building Vikingsholm. The craftsmen were hired locally, coming from Reno and Sacramento, and were paid $18 per day (equivalent to about $300 per day in today’s money). Within six months, the Scandinavian-style castle was completed. Vikingsholm sits at the head of Emerald Bay and is obscured by trees, which is why you can’t see the castle from the road above Emerald Bay (SR 89). In fact, even after you’ve hiked down the trail from the parking lot the one mile and 500 feet of elevation drop to witness it first-hand, you’ll still be challenged to take in the castle in its entirety. I would argue that there’s no one quintessential view or aspect of Vikingsholm that sums up the entire place. This isn’t by accident. When exploring Vikingsholm, you can’t help but marvel at the details of its construction and craftsmanship, nor can you help but feel like a child exploring the forest and trying to see what lies just beyond that next tree or boulder. Because, like any masterpiece, there’s mystery inherent within Vikingsholm’s design that causes you to keep looking and asking more questions. Vikingsholm isn’t a standard square or rectangular structure that seeks to maximize its footprint in relation to the acreage its set upon. Rather, the place is dynamic because it forms a circle. And, although the lumber, stone, and other raw materials used in the construction of Vikingsholm were sourced locally, Lora Knight required of her architect, Lennart Palme (nephew by marriage), to design Vikingsholm without cutting down any trees in the immediate area. So, the surrounding trees not only grow around the castle’s outer edges, they also grow from within its courtyard giving the impression that, perhaps, Vikingsholm simply sprung from the forest floor one day. On top of (nearly) everything, literally, is a sod roof that further camouflages its presence. The use of the term camouflage is not a completely accurate description, however, because that implies deception. This was not the intention of Lora Knight. Rather, she sought harmony between her home and the existing landscape. She ultimately wanted a place that would blend in with the natural surroundings. So, the sod roof was originally included in the design and it has always incorporated native grasses and wildflowers because Lora Knight made a point to use native species whenever planting around Vikingsholm. Unfortunately, during the last few years some of trees on the north side of the castle have been lost, so most of the grasses on that side of the sod roof (in spite of the integrated irrigation system) have dried out and died. Most of the furniture throughout the castle are replicas of Scandinavian furniture. While traveling to the Nordic countries with Lennart Palme in preparation for the building of Vikingsholm, Lora Knight was unable to buy or obtain original pieces due to the laws in place at the time prohibiting the exportation of items or works of value. Therefore, most of the replicas were designed based on Lora’s photos and drawings. Those pieces of furniture were then either built or assembled primarily in Sacramento. For example, the stained glass used for the windows was imported from Sweden, but it was sent to Sacramento for assembly. Sometime after Lora Knight’s death at the age of 82 in 1945, a rancher from Nevada named Lawrence Holland bought Vikingsholm from her estate. It’s said that he had intentions of developing Emerald Bay into a playground for the Hollywood elite. Fortunately, that vision never manifested and he wound up selling the property to a lumber man from Placerville named Harvey West. Although Harvey West appreciated the property he, too, gave up any plans to make use of it or further develop the site. Amazingly, it’s thanks to Harvey West that Emerald Bay is now public property. The reason being is that in 1953, he agreed to donate one-half of the land’s appraised value to the State of California so long as they compensated him the value of the other half. At that time the land was 282 acres, yet the value had still only been appraised at $250,000! So, the State of California acquired Emerald Bay and Vikingsholm for $125,000. One would think that California’s acquisition of Emerald Bay and Vikingsholm would be a boon for the public. However, for about a decade after its acquisition in 1953 the property laid dormant. It fell into disrepair and everything began to decay. This prompted the state to start dismantling structures in the 1960s, beginning with the servants’ quarters and outlying guest homes, as well as to remove multiple trees (that had been carefully preserved by Lora Knight). 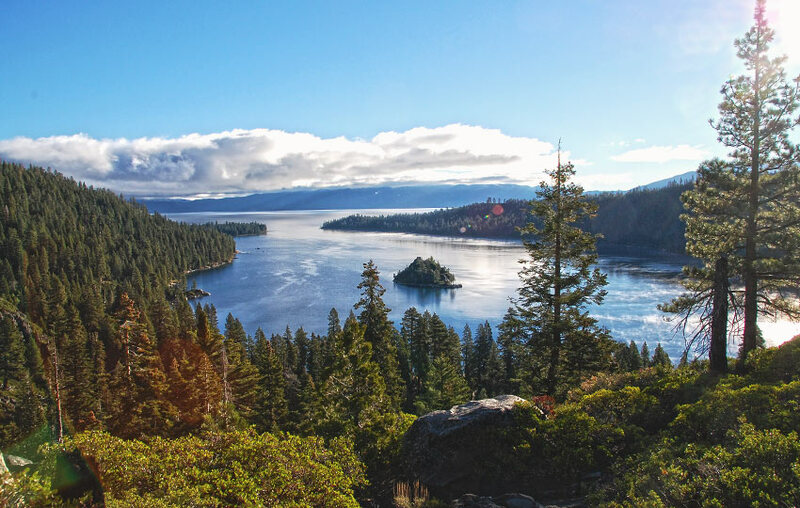 The idea behind the clean-up process was to return Emerald Bay to a more primitive state and then feature campsites and picnic areas throughout Emerald Bay. Not the worst idea in the world, but did you happen to notice that architectural work of art that happens to be sitting in the middle of everything? You know, the one that resembles a Scandinavian Castle? In the state’s defense, however, Vikingsholm wasn’t a historical site at the time since it had only been in existence for about 30 years. Though, it still seems odd that they didn’t perform more research into the origin of Vikingsholm due to its unique nature. In 1965, a woman named Helen Smith was handed a newspaper article by her child’s babysitter. “Have you ever been to this place?” the babysitter asked. The article described Vikingsholm, California’s acquisition of the property, and what they were planning to do with Emerald Bay. The reason the babysitter asked about Vikingsholm was because Helen had told her about the visits she made to Lake Tahoe as a young child. Helen Smith’s mother was one of Lora Knight’s college scholarship recipients, and the two of them developed a friendship over the years. In fact, Helen Smith’s parents were allowed to honeymoon at Vikingsholm while Lora Knight was traveling in Brazil. Later, Helen Smith’s family would drive up from their home in Santa Barbara each summer to spend a few weeks at Vikingsholm. I had the opportunity to meet Helen Smith during a “Conversations with History” tour of Vikingsholm on August 15, 2018. I highly recommend taking this tour, or even just a regular tour of Vikingsholm, if at all possible. Helen Smith had been one of the few children who actually visited Vikingsholm since Lora Knight was much older and generally associated with people her own age. Thoughtfully, Lora Knight invited a local girl to visit whenever Helen was at Vikingsholm. Those two girls still correspond and see each other from time to time. Another example of Lora Knight’s thoughtfulness and compassion occurred when Helen Smith accompanied Lora Knight (and other guests) on a road trip to Reno. On the drive back to Tahoe, they stopped at a small store and Lora gave Helen a dollar to buy some paper dolls. Helen went inside and began to look around. However, she couldn’t make up her mind about which paper dolls to buy. Lora came into the store to see why Helen was taking so long. Helen explained her dilemma, then Lora said, “We gotta learn how to do this.” Helen was horrified that she held up the group, so she followed Lora’s instructions. Lora showed her a step-by-step process whereby Helen would eliminate the ones she didn’t want and then having narrowed down the field, choose the ones she really wanted. Helen has stated that she still often uses this process of elimination when making decisions. After reading the newspaper article in 1965 about Vikingsholm, Helen Smith and her husband took a trip to Lake Tahoe and visited the site. She was astonished to find so many original items and furnishings remaining at Vikingsholm after so many years and after passing through so many hands. For example, she found many of the original water pitchers still sitting next to the beds. What Helen Smith found disappointing, however, was that no one onsite knew much about Vikingsholm. The stories personnel told her did not line up with her personal experience having lived at Vikingsholm. Helen Smith contacted the California State Parks office and offered her services to help educate people about Vikingsholm. However, the state’s response was something to the effect of, “We don’t hire women in the field at State Parks.” Although she could’ve worked as a secretary in an office for State Parks, the role she was attempting to fulfill was technically a field position. And, it was still around 1965, so workplace discrimination was rampant. There are a million and one details about Vikingsholm, Lora Josephine Knight, and Helen Smith that would be fun to discuss, but you’d be better served learning about them by actually visiting the historic site. I highly encourage making a day trip to Emerald Bay to see Vikingsholm and, if at all possible, taking an actual guided tour. Just keep in mind, however, that Vikingsholm is only open during summer months for guided tours, so check online before visiting to ensure they’re open. I also encourage you to become a member or simply donate to the Sierra State Parks Foundation so that they can continue to care for and maintain Vikingsholm.